You may have heard someone say that they were “looking for good CNC software” or someone say they “need to learn how to use their CNC software.” Now more than ever, it is something that every CNC business needs. The term “CNC” is an acronym for “Computer Numerical Control“. CNC differentiates between a machine that has a “Controller” on it from one that is manually run. The machines we are referring to in the world of metal cutting would be a Mill, Lathe, Router, Water Jet, Laser, Plasma, Wire EDM or Burning machine. Therefore, a CNC Machine is one that can read in a numeric code/language that contains data about cutting, axial coordinates, tool information and much more. 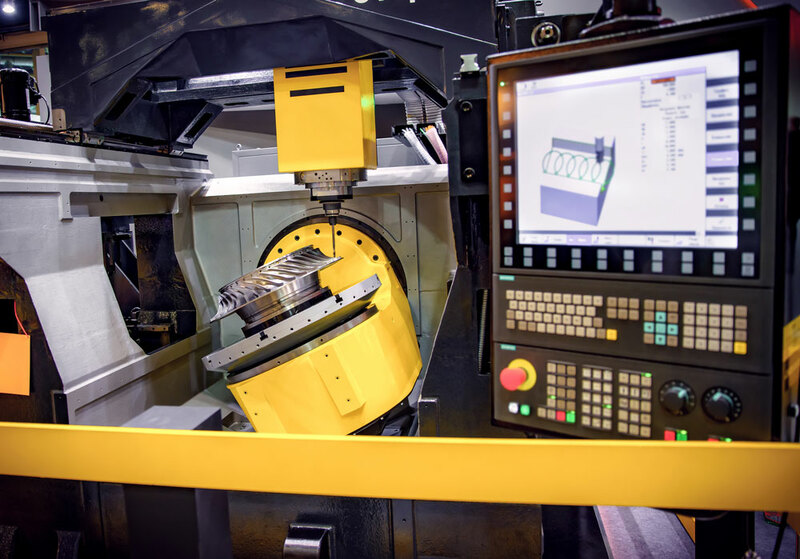 While CNC Machines have revolutionized the way we have been manufacturing since the 40’s, the methods that have been developed for programming these machine tools has evolved dramatically in the last 25 years. This leads us to “CNC Software” which is also known as CAD-CAM Software (Computer Aided Design & Computer Aided Manufacturing). While this is not an article on CAD Design Technology, we will say that CNC Software refers more to the machine tool programming and automation side of the manufacturing process. Basically CAD-CAM software is for taking a CAD drawing/part geometry (wireframe, surfaces or solid models) and turning it into a program that involves cutting or machining toolpath and then posting it in a highly organized NC machine language that the machine controller will understand and execute. Post processors are used for turning toolpath information and simply converting into a numeric language that can be transmitted from the CAM or CNC Software to the CNC controller and then used to make the machine motors run in accordance to there the toolpath or cutting should take place on the part material itself. In many cases the CNC/CAD-CAM is in a different location that the machine controller. Generally, RS 232 communications is used to send G-Code from the CAM to the machine controller. While CNC machine technology was advancing throughout the 90’s many shops still had durable manual knee mill type milling machines (namely Bridgeport who has shipped out over 350,000 of them in the last 70 years) that required CNC Retrofits in order to be used with CAD-CAM software. For many years companies such as Centroid and Southwestern Industries have been providing hardware retrofit products for these machines bringing them back to life. Then there are other providers that have focused more on CNC Controller Software such as ArtSoft and their Mach 3 CNC Controller Software product. Mach 3 is also referred to as “CNC Software” as it has everything to do with “CNC” and turning a desktop computer into a fully featured 6 Axis CNC Controller. CNC Software is widely searched throughout the manufacturing communities on internet search engines as well. If you are looking for software to turn drawings into toolpath and NC programs for your CNC machine you may consider searching “CAD-CAM Software” in order to accurately locate providers that offer CAD-CAM CNC software products. 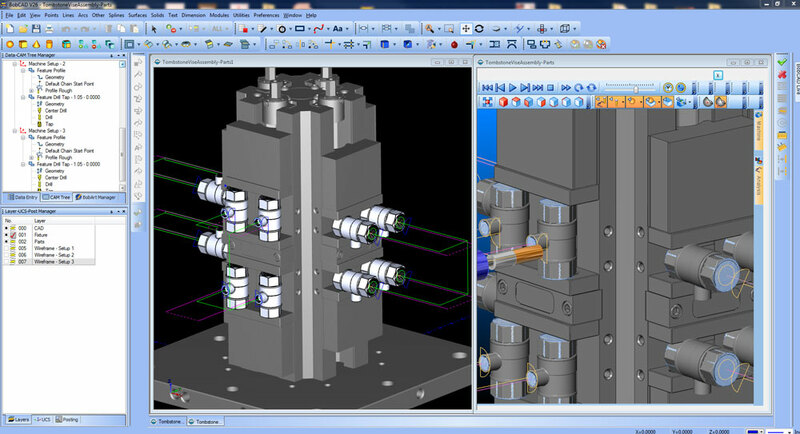 BobCAD-CAM has provided CAD-CAM CNC Software products to the global manufacturing industry for over 30 years. BobCAD-CAM software can be found to increase CNC productivity for many applications in aerospace, automotive, production manufacturing, mold making, general machining, woodworking as well as the medical manufacturing industry, consumer products, musical instruments, custom fabrication, defense industry and many others due to the products ability to automatically generate NC programming code for such a wide variety of cnc controllers. BobCAD-CAM software is also found in educational institutions throughout the world as well as independent hobby home use. Products include machining technology for 2, 3, 4 & 5 axis CNC milling, routing, waterjet, plasma and laser machines as well as 2 axis CNC lathe and 2 & 4 axis wire EDM. BobCAD-CAM is modular allowing shops to start off at a reduced technology level and add technology as it is needed including add-ons for artistic machining and nesting sheet optimization. Unique technology includes adaptive high speed machining multiaxis milling and routing which is a first in the world of CAD-CAM software. BobCAD-CAM also provides a variety of quality training products that include regional and online training classes or private sessions tailored to specific applications. Professional certification and multi-tiered support solutions are available. Contact BobCAD-CAM today at 877-262-2231 or 727-442-3554.
history of it with John Wilkinson. My husband is interested in learning more about cnc machine .